If you know me by now, you are already aware brunch is one of my favorite meals of the day. For most people, brunch is associated with a weekend midday meal, especially Sundays. 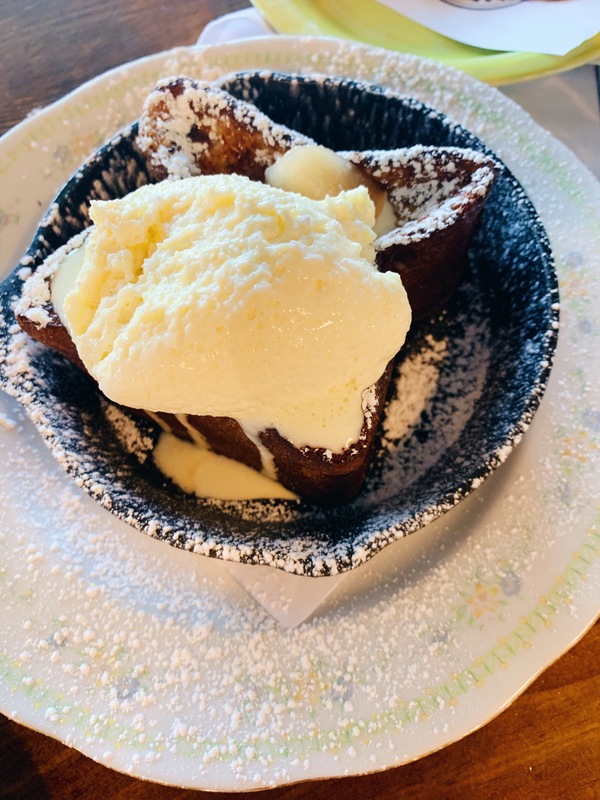 I literally can have brunch everyday, and I found the perfect spot outside the perimeter of Atlanta that serves brunch daily called Henmother Cookhouse. 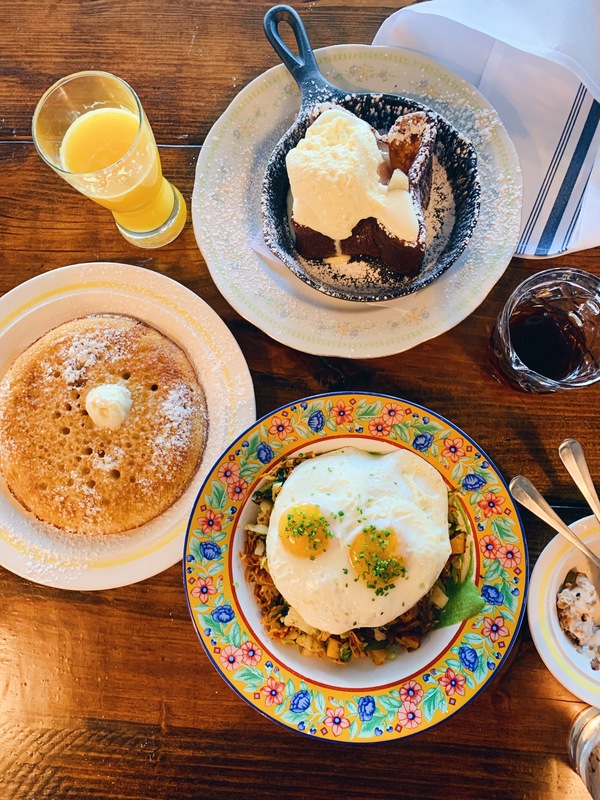 Its a cute modern breakfast, lunch and brunch spot is owned and operated by Soraya Khoury which gives fresh farmhouse cooking to the next level for one of the best meals of the day! As a starter I ordered the Cookhouse Granola and Yogurt. You can share this yogurt as it is pretty good size. 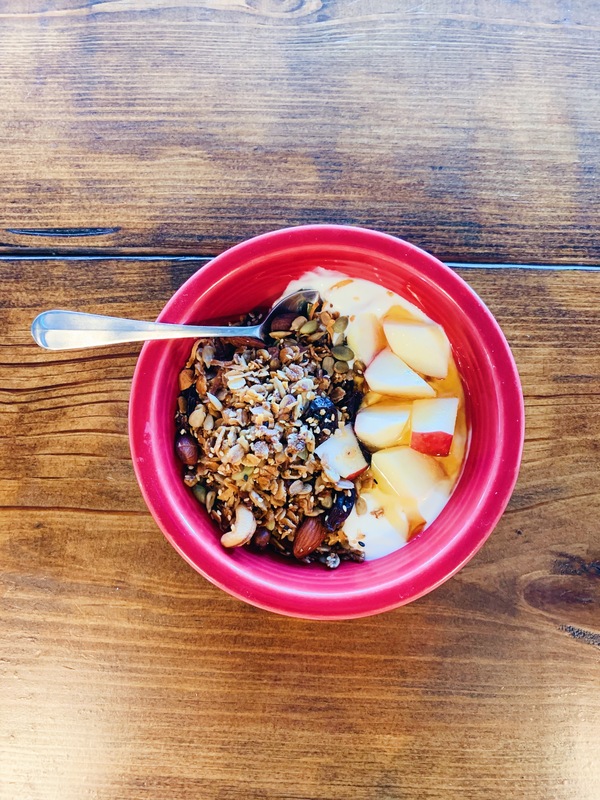 If you love this granola mix, you are able to buy Cookhouse Granola Mix before you leave! This was an amazing gourmet take on french toast. Very rich in flavor and the poached peaches inside the center really blended this dish together well. Some of the fluffiest pancakes I’ve ever had. The syrup was amazing! This was hands down my favorite dish. So savory, filling and healthy! Underneath the eggs the veggies & potatoes were so well put together and full of flavor. My top recommendation if you visit this spot! The decor in the place was really minimalist, modern but still gave a hint of farming flair. 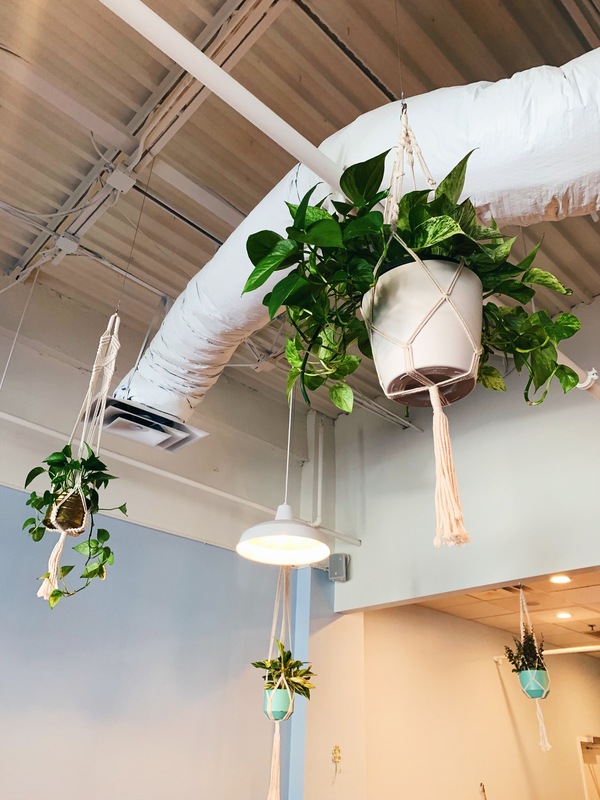 I loved the hanging plants on the ceiling nice touch. 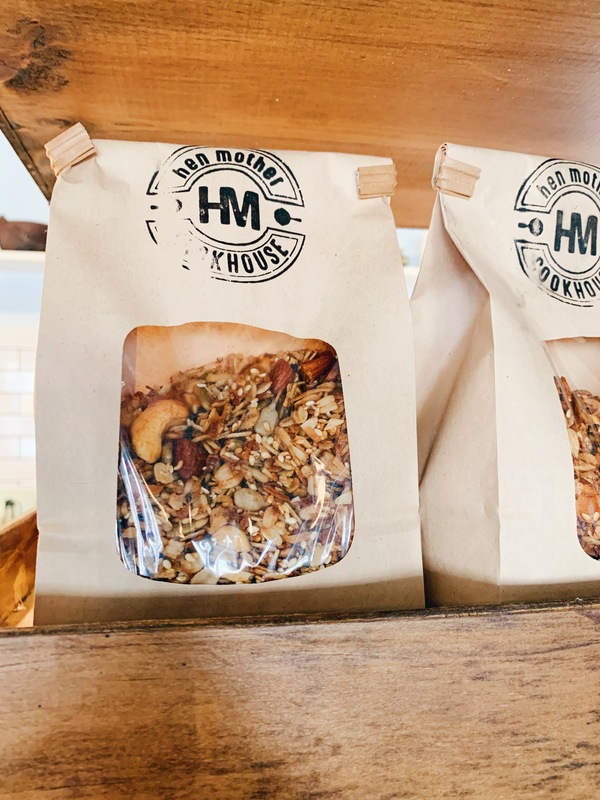 If you order the Cookhouse Granola & Yogurt, you can take your own Cookhouse Granola mix home. 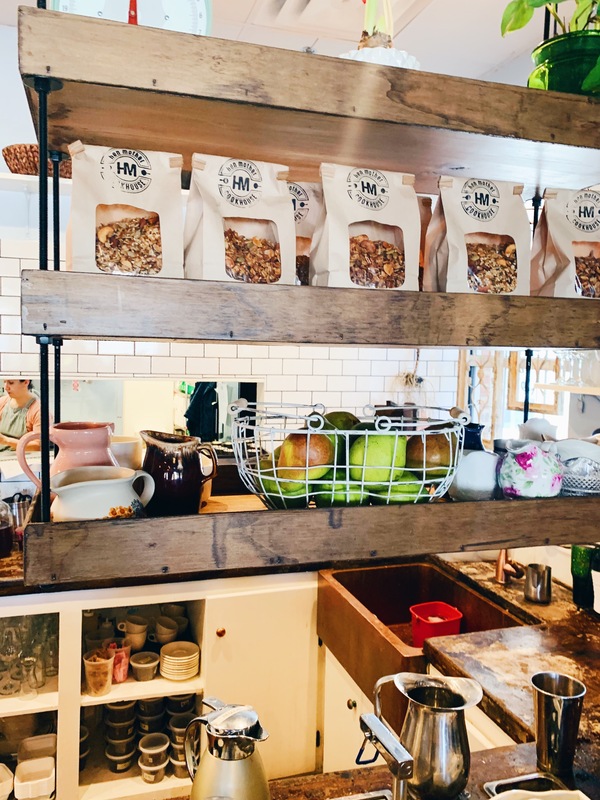 They make their granola in-house and specialty put together that you can only get here. 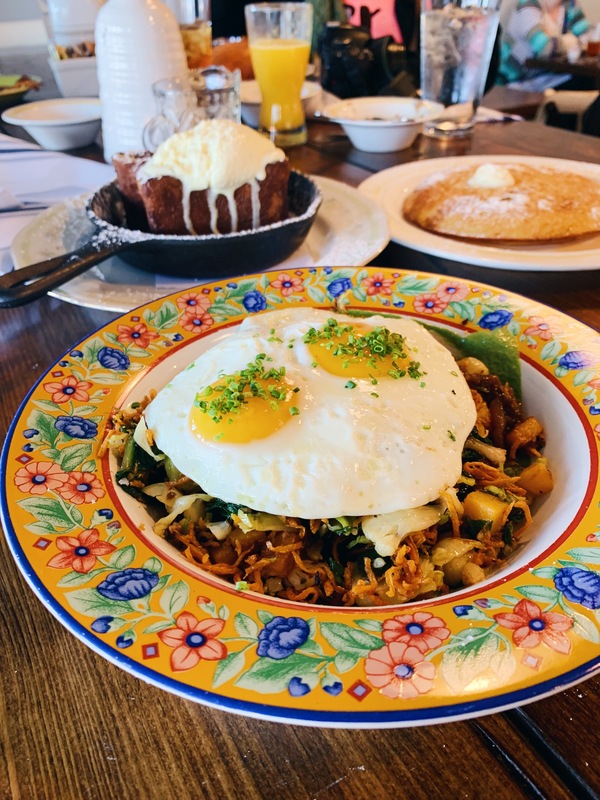 Which brunch dish would you be interested in trying? 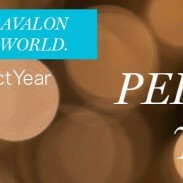 Legit Reasons Why I Should Win Avalon’s Perfect Year Contest! Henmother Cookhouse is so good. My husband and I go there whenever we get a chance. Oh wow everything looks so delicious! I have only been to Atlanta one time. Yum! My husband travels to Atlanta for work quite often, so I plan to share this post with him. This does sound like a comfy place to have brunch. I’d love to try some of those breakfast dishes. Whipped custard? Thick maple pancakes? Ok, my mouth is so watering now! These look amazing!! Everything looks so amazing. All that food looks yummy! I could go for any of those dishes right now. How amazing is that! Well, I’m definitely adding this to my list of places to try! Everything looks so amazing!! I would love to have the option of taking some of my favorite granola home from a restaurant. That is a nice perk. This looks absolutely amazing! 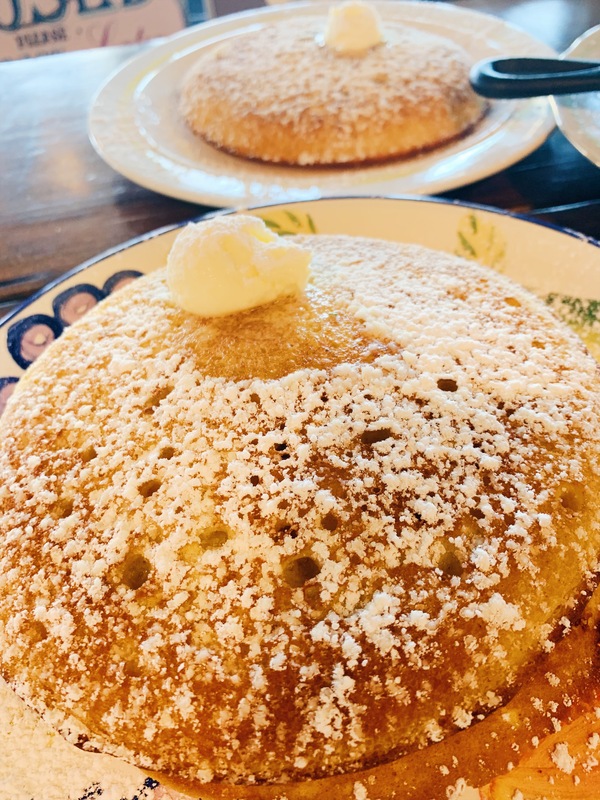 I want that brioche french toast right now, and the brown butter pancake looks amazing! If I’m ever in Atlanta, I want to go here! This looks like a lovely place to visit, so many nice things to eat. I think I would love to try the eggs. I want to try all of these dishes. I am suddenly craving breakfast foods. Those pancakes look amazing! This place is exactly that kind of place that I like. From simple dishes, but well executed and that make you want to eat them just to see them! I’m headed to Atlanta for the first time this Fall. I will definitely check some of these out, I love brunch. I am headed to Atlanta in March so I will be sure to look this place up most definitely! All of this food looks like it would be amazing. That is one thing that we map out whenever we go anywhere – where are we going to eat?! Every dish you shared looked better and better as I went along. I have yet to visit Atlanta. Would be so nice to visit there someday. 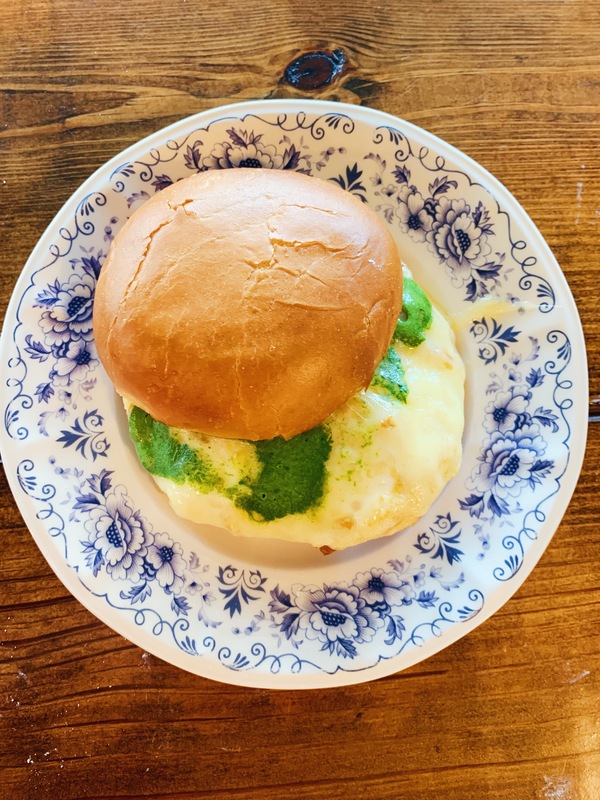 This is place is absolutely amazing, a quaint spot, food is great, my egg breakfast sandwich was the best, thanks for the suggestion. Actually, I loved all the brunch dishes. It is 2 am here and you made me hungry. Atlanta is such a good place to find good eats. I do love a nice brunch. I felt the same way!! Everything did look more tastier!! Gosh, I am hungry now! That brunch all looks so good but the pancakes really special. I would love some granola to go too. I has been SOOOO long since I’ve been to Atlanta, at least 15 years. I certainly don’t remember any of the food looking this good! Those pancakes look amazing! Everything looks so good. Atlanta is a city I still want to get to. Leave me for a week in Atlanta! I would like to try all these yummy dishes! They all look so inviting! 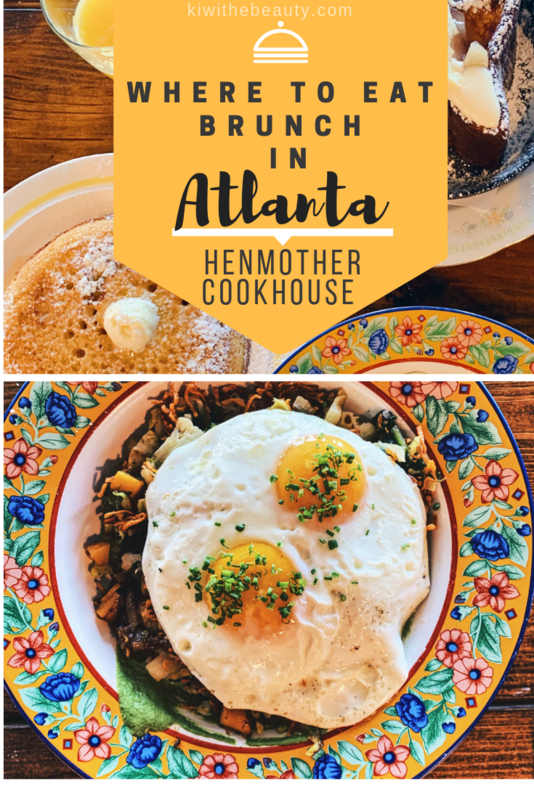 My family and I is a big fan of eating brunch everyday and Henmother Cookhouse is really a must place for me to go when visiting Atlanta. Every food you’ve shown us is really delicious! Everything sounds soooo good! I would love to have the option of taking some of my favorite granola home from a restaurant as well! When I hit up Atlanta in March I am going to definitely have to eat here! YUM! All of those dishes look absolutely amazing. 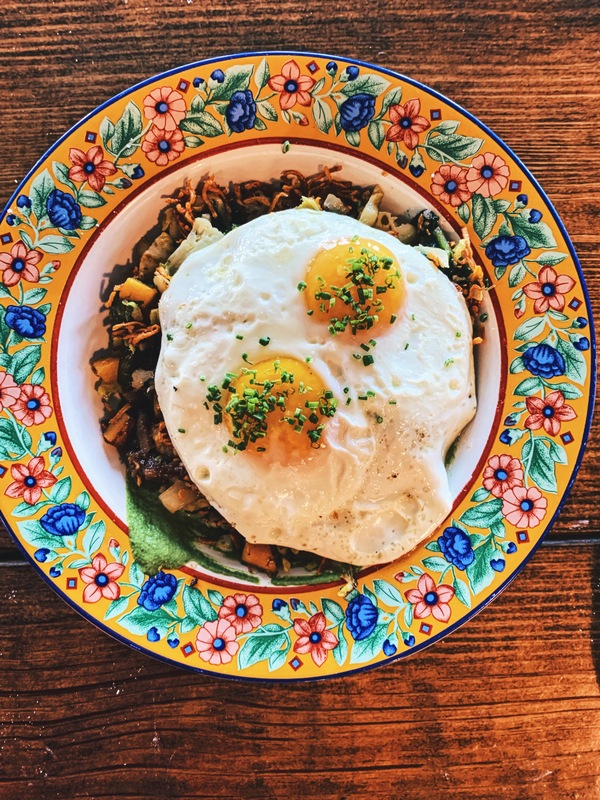 I would love the Market hash with the eggs the most I believe. So delicious. I would try all of it! But based on my current attempt to eat healthy I would go for the granola. Ooh these all look so yummy! I am all about brunch, I dont really eat breakfast so brunch is way more preferable. You cant beat poached eggs! Oh my, all these food look so delicious! I love a good breakfast or a heavy brunch. Yum! 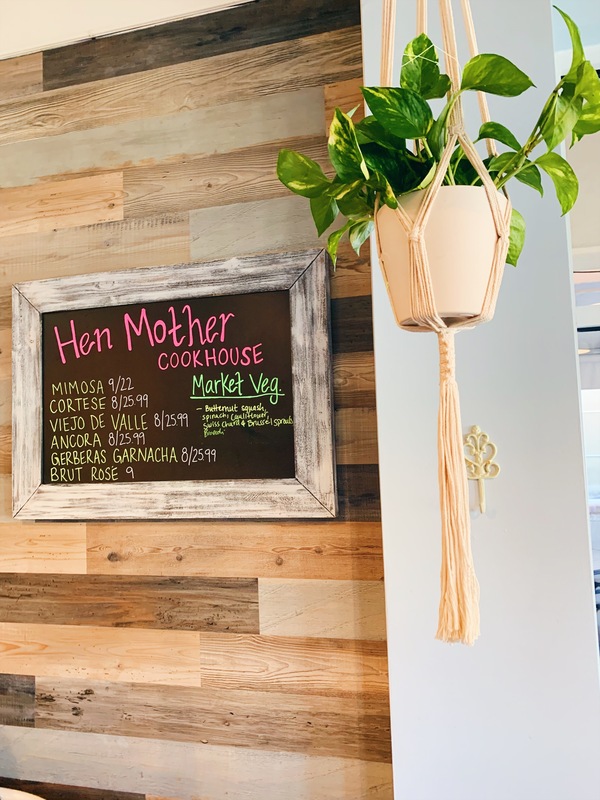 Henmother Cookhouse seems like a nice place to have brunch! I want to have that pancakes! Looks so tasty! OMG. I love a yummy brunch! Everything looks so good. Now I want pancakes.